The company began in 1919, when German entrepreneur Carl F.W. 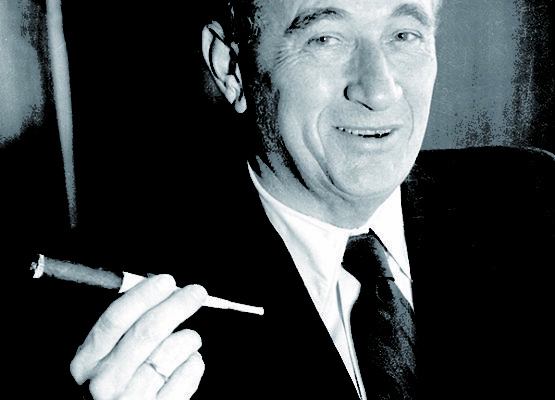 Borgward (1890-1963) established the Bremer KuhlerfabrikBorgward& Co., an automotive radiator company in Bremen, Germany. He also designed a two-horsepower, three-wheeled courier motorcycle called the Blitzkarren (“lightning cart”), and later the Goliath three-wheeler which, by 1925, was used by the German postal service for mail deliveries. 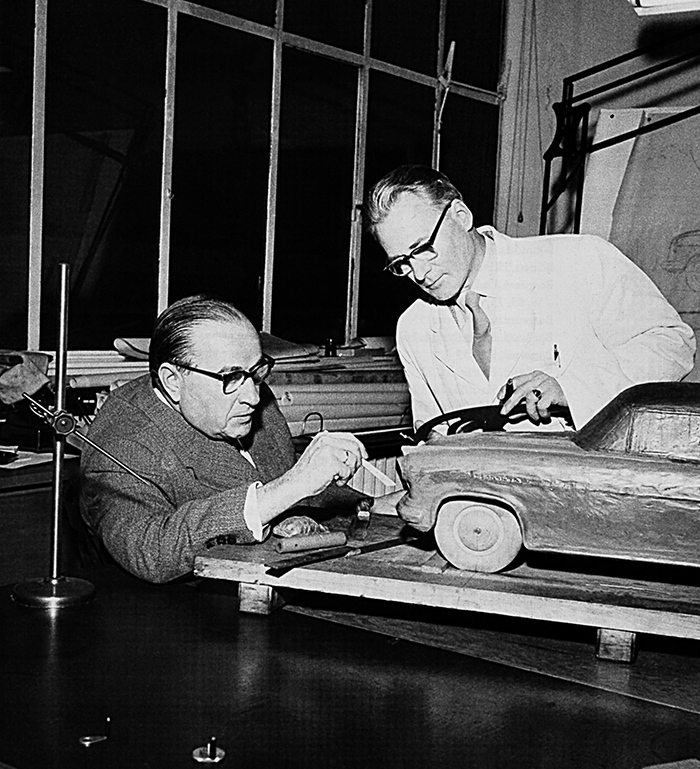 Isabellas constituted Borgward’s most popular and successful model in the U.S. The Isabella Coupe joined the line in 1957. 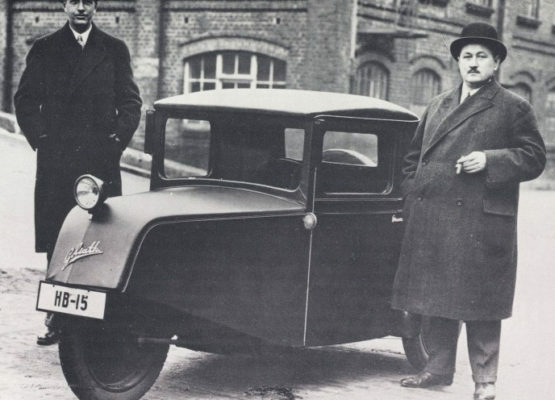 Carl Borgward, right, poses with his partner, Wilhelm Tecklenborg, and their 1936 Pionier three-wheeler, an outgrowth of a German mail van. The Pionier was extremely successful and put Borgward on a solid financial footing. In 1929, Herr Borgward, together with Wilhelm Tecklenborg, acquired the Bremer Hansa Lloyd Werke. They developed small trucks and, in 1932, a small three-wheeled passenger car, the Goliath Pionier, and they renamed the company Hansa-Lloyd und Goliath-WerkeBorgward&TecklenborgoHG. The three wheeler proved popular and very profitable. Five years later, Borgward introduced two four-wheeled cars, the Hansa 1100 and 1700. Both became immediate successes. They received rave reviews in the press, and sales were so strong that they created a six-month waiting list. The Hansa continued through 1938 and gave serious competition to such leading German automakers as Opel, Ford, Adler, Hanomag and Wanderer. 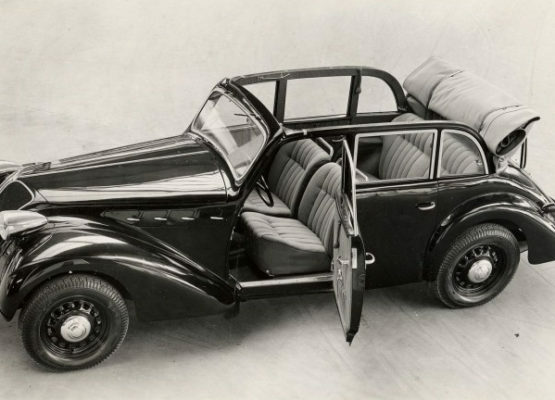 Borgward introduced the six-cylinder Hansa 2000 sunshine sedan in 1938 and continued it through 1942, when the factory switched entirely to wartime production. In 1935, Carl Borgward developed his first sports car, the Hansa 1700 Sport. And the next year, he introduced a luxury model, the Hansa 3500 Privat, powered by a 90-horse, 3.5-liter, inline six-cylinder engine. In 1938, Borgward opened a modern new factory in Bremen, Germany. But in 1939, Borgward was forced to shift production to trucks and military vehicles. In 1944, the Bremen factory was destroyed by Allied bombs, and in 1945, Carl Borgward was arrested and served three years in prison for aiding the Nazis. 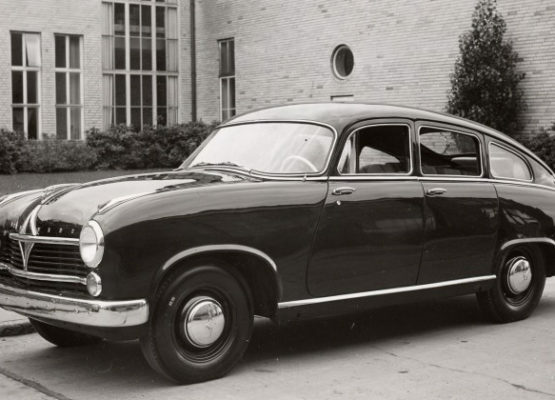 The Hansa 2400 fastback came out in 1952, used Borgward’s 2.4-liter, 82-bhp, inline Six, giving a top speed of 93 MPH. A notchback on a longer wheelbase appeared in 1953, and the line continued through 1959. After the war, German raw materials were rationed on a per-manufacturer basis. 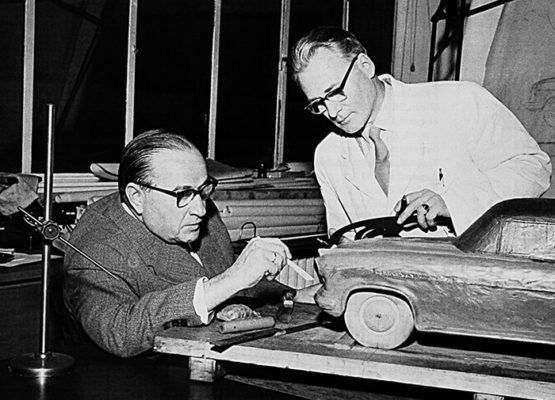 As a result, Carl Borgward split his company into three divisions and built three different automobiles: Goliath, Lloyd and Borgward. Borgward launched the Hansa 1500 in 1949 – Germany’s first all-new postwar car and first with unibody construction and “through” fenders. This was followed by the 1800. Then in 1952 came the Hansa 2400, which introduced Germany’s first automatic transmission in a bid to enter the luxury market. 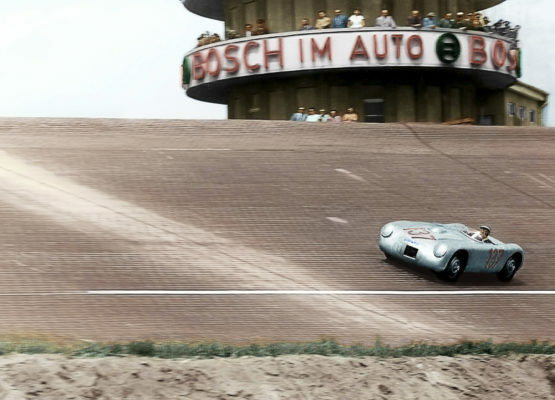 Borgward campaigned Hansa RS1500 racers in 1952-54 and 1958. Engines delivered 154 bhp from 1.4 liters. RS1500s ran against Porsches at Nürburgring, La Carrera Panamericana and Le Mans. 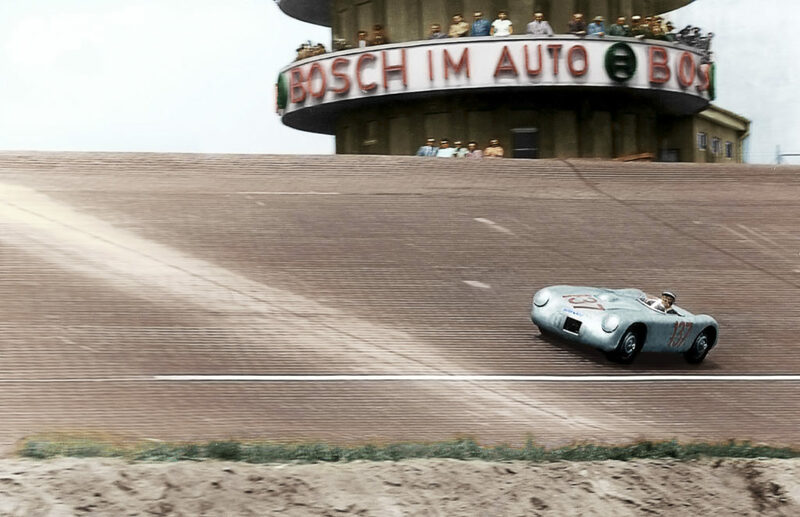 Borgward began building race cars in 1950, the first of which was the BorgwardHansa 1500 TypInka, which broke the 1,000-mile record at the Autodrome de Montlhéry Circuit near Paris with an average speed of 172 KPH (107.5 MPH). 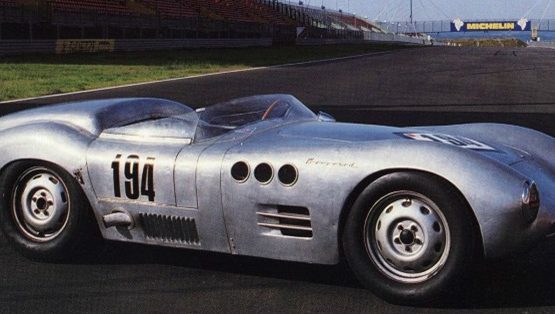 Borgward racing successes were mostly in Formula II (some were Cooper-Borgwards) and Carrera. A high point in Borgward’s commercial success came in 1954 with the introduction of the new Isabella line. Next year, Borgward added the Isabella Combi station wagon and the Touring Sport (TS), with 35 percent of factory production destined for the United States. In 1957, the Borgward Group, which now included Goliath and Lloyd, celebrated its half millionth car, making the company Germany’s second-largest auto manufacturer, after Volkswagen. Also in 1957, two additional models joined the Isabella line: the TS de Luxe and the Isabella Coupé. The Isabella Coupé was powered by the TS 1.5-liter, inline four-cylinder engine, had a four-speed transmission, and all Isabella models featured four-wheel independent suspension. Fuel mileage ranged from 28 to 34 MPG. The 1960 Coupé sold for $3,750 in the U.S., and approximately 5,000 of the 9,537 Isabella Coupés built came to the U.S. More than 200,000 Isabellas were eventually produced. 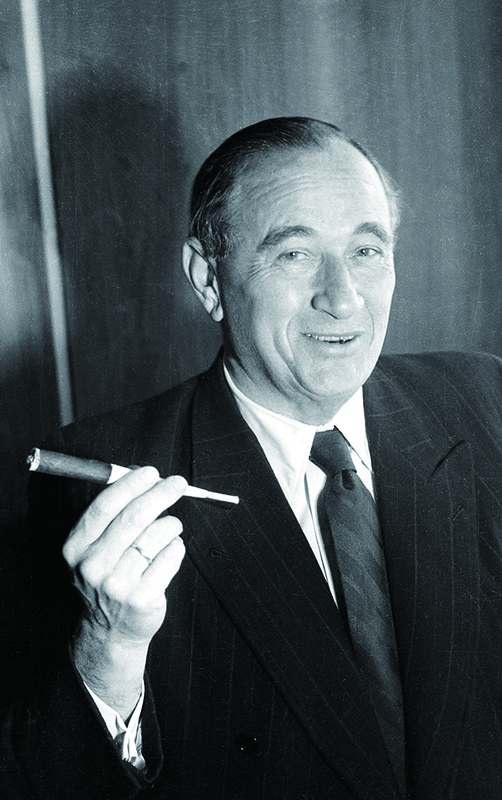 Chrysler was so impressed with Borgward’s successes that they reportedly made a bid of 200 million DM (approximately USD $50 million) to buy 51 percent of the company, but Carl Borgward turned the offer down. By 1959, there were more than 500 Borgward Group dealers in the United States alone.